Mercury entered the Sign of Aries on 27th March, 2017, but turned retrograde on 10th April, 2017. It will finally become progressive on 3rd May, 2017 and will complete its transit in Aries. It will enter its friendly Sign Taurus on 3rd June, 2017. Mercury is regarded as the prince in the planetary cabinet. In a native's horoscope, Mercury rules the 3rd house(Gemini) and 6th house(Virgo). If Mercury is weak in your horoscope, you may suffer from eye, ear and neck related health issues like thyroid, back pain and skin diseases. Mercury is associated with wealth, intelligence, work efficiency, accountancy, arts, dance, economics, analysis, speech, humour, banking services, brokerage, salesmen, skin, and education amongst various other aspects. Mercury must be powerful in order to become a successful businessman. Currently, Mercury is retrograde in Aries sign and Ashwini constellation, and will turn direct on 3rd May, 2017 at 22.04 pm. Following are effects of Mercury's progression in Aries on natives of all signs. [Please Note: The predictions are to be considered according to the Moon Sign. But, some effects will also be applicable for the Ascendants. If you want to know your Ascendant/Lagna Sign, CLICK HERE. For Aries natives, Mercury turns direct in the 1st House from moon. Consequently, you may get moderate results in your activities, matters associated with your younger brothers/sisters, maternal relatives, job or business, servants, diseases and enemies. During Mercury's transit in Ashwini constellation from 03-5-2017 to 23-5-2017 you may get negligible results in your activities, and matters related to younger brother/sister, travelling, maternal relatives, profession and servants. From 23-5-2017 to 01-06-2017 Mercury will transit in Bharani constellation. Consequently, you shall progress in your profession. Activities related to public life will get accomplished. You shall get opportunities related to financial growth. From 01-06-2017 to 03-06-2017 Mercury will transit in Sun's constellation – Krutika. Hence, you shall get positive results in professional and financial matters, foresees Ganesha. But, will these positive results help you to strengthen your position in career? Get answers with Career Ask A Question report. For Taurus natives, Mercury turns direct in the 12th House from moon and thus may get moderate results in matters related to their finances, family, love relationships, education, sports and children. During Mercury's transit in Ashwini constellation from 3-5-2017 to 23-5-2017, you may get moderate results in money matters and domestic bliss. Hurdles in love relationships and rise in problems associated with your children are also indicated. Besides, you may lose interest in your studies. From 23-5-2017 to 01-06-2017 Mercury will transit in Bharani constellation. Consequently, organising auspicious events in your family and financial gains are foreseen. But, you may get negative results in love relationships and children related matters. During Mercury's transit in Krutika constellation from 01-06-2017 to 03-06-2017, positive results in financial matters, and negative results in personal life are foreseen by Ganesha. But will this affect your marriage? Buy the 2017 Marriage Prospects report to get answers. For Gemini natives, Mercury turns direct in the 11th House from moon and thus they shall get favourable results in matters related to their mother, vehicle, physical and mental health, movable and immovable assets. During Mercury's transit in Ashwini constellation from 3-5-2017 to 23-5-2017, you may get moderate results in matters related to your health. Besides, matters regarding movable and immovable assets may get complicated. From 23-5-2017 to 01-06-2017 Mercury will transit in Bharani constellation and prove to be favourable for your health. Issues regarding immovable assets shall get resolved. Relations with your mother will be cordial and you shall now buy a vehicle. During Mercury's transit in Krutika constellation from 01-06-2017 to 03-06-2017, positive results in matters related to your mother, vehicle, health and immovable assets are foreseen by Ganesha. But, will you be successful in your efforts? Will you be able re-ignite the charm in your relations with others? Buy the 2017 Personal Life & Relationship Report to avail answers. For Cancer natives, Mercury turns direct in the 10th House from moon, because of which you shall get average results in matters related to their activities, younger brother/sister, friends and travelling. Whereas, you will get favourable results in religious matters, sudden expenses and sickness. Further, Mercury's transit in Ashwini constellation from 3-5-2017 to 23-5-2017 may be unfavourable. This period is also not suitable for travelling. Differences with younger brothers/sisters and some issues with your friends are indicated. Unexpected expenses may disturb your budget. 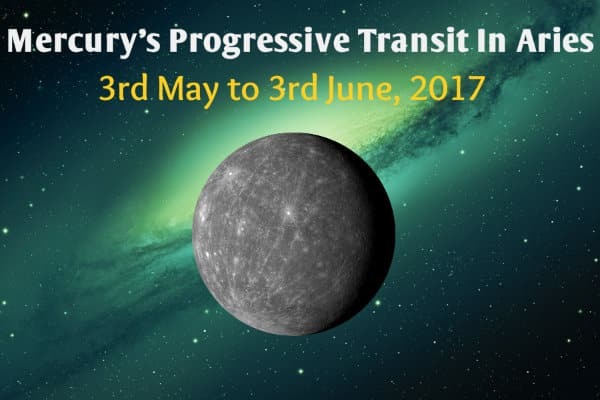 From 23-5-2017 to 01-06-2017 Mercury will transit in Bharani constellation. Journeys undertaken during this period will be gainful. Relations with your brothers/sisters shall be cordial. You will spend enjoyable moments with your friends. Sudden expenses are likely, but you shall recover from your illness and thus feel healthy. Organising a religious ceremony and going on a tour is indicated. Mercury's transit in Krutika constellation from 01-06-2017 to 03-06-2017 will be favourable for matters related to your younger brothers/sisters, friends and travelling. Growth in your profession, going on a pilgrimage and recovering from sickness is also foreseen. This prediction about your finances and expenses is based on just the transit of Mercury, whose effects you may witness till 3rd June. But what do the planets indicate about your finances in the year 2017? Buy the 2017 Finance Report to know. 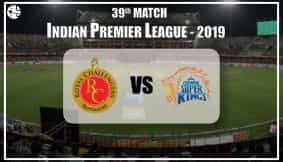 For Leo natives, Mercury turns direct in the 9th House from moon and which will bring favourable results in friendly relationships, family bliss, money matters and also gain financially. Mercury's transit in Ashwini constellation from 3-5-2017 to 23-5-2017 will provide moderate results in friendly relationships and financial matters. Family life shall be harmonious. From 23-5-2017 to 01-06-2017 Mercury will transit in Bharani constellation. Consequently, your family life shall be blissful and you will progress financially. Relations with your friends shall be cordial. Financial benefits in your profession are also indicated. Mercury's transit in Krutika constellation from 01-06-2017 to 03-06-2017 will be favourable for matters related to finance, family and friendly relationships, foresees Ganesha. But, will you be successful in your efforts? Will you be able re-ignite the charm in your relations with others? Buy the 2017 Personal Life & Relationship Report to avail answers. During the transit of direct Mercury, Virgo natives shall get moderate results in matters related to their health. As Mercury turns direct in the 8th House from from moon, you will get favourable results in matters related to your father, profession and superior authorities. During Mercury's transit in Ashwini constellation from 3-5-2017 to 23-5-2017, you may remain upset and anxious and maintain average fitness. Hence, take care of your health. Besides, you may face hurdles in your job, and thus feel restless and distressed. From 23-5-2017 to 01-06-2017 Mercury will transit in Bharani constellation. Consequently, you shall remain healthy and feel relieved. This period will be favourable for your profession, and relations with your father shall be cordial. During Mercury's transit in Krutika constellation from 01-06-2017 to 03-06-2017 your health will improve. This period is also favourable for your job and your father. The Mercury transit may help you in career matters, but will the other planets let you enjoy a smooth ride in the coming years. Buy the Career Prospect Report by GaneshaSpeaks Team to get answers. During the transit of direct Mercury, Libra natives shall go on a pilgrimage and get new, growth-related opportunities. Mercury turns direct in the 7th House from moon, which shall be favourable for matters related to your younger brother/sister-in-law. Moderate results in health issues and sudden expenses are indicated. During Mercury's transit in Ashwini constellation from 3-5-2017 to 23-5-2017, you may become more sensitive. Especially watch your health, else you may fall sick. Unexpected expenditure is also foreseen. From 23-5-2017 to 01-06-2017 Mercury will transit in Bharani constellation. Consequently, you shall get some growth-related opportunities. This period is also suitable for matters related to your brother/sister-in-law. During Mercury's transit in Krutika constellation from 01-06-2017 to 03-06-2017, you shall progress in your life. Now, secure your future and plan for a better tomorrow with insights about your life in our Detailed Life Prediction Report. The direct transit of Mercury in Aries (from 3-5-2017 to 3-6-2017) will mean economic gains for the natives of Scorpio sign. You will get medium benefits in your relationship with your friends and siblings. Positive circumstances are likely to emerge in the areas of your physical health and inheritance of your personal property, as Mercury turns direct in the 6th House from moon. Mercury will move in Ashwini constellation from 3 May to 23 May which can provide you with medium financial benefits. You may develop some disputes with your friends. You may also develop differences with your elder siblings. You are likely to gain financial benefits between 23 May and 1 June when Mercury moves in Bharani constellation. During this period, the relationship with your friends and siblings will be sweeter. Mercury will move in the Krutika constellation between 1 June and 3 June, this may confer good financial developments. Do the positive developments mean a sound financial position in 2017? What do the other planetary configurations indicate? Buy the 2017 Finance Report to know about your overall finances in 2017. For the natives of Sagittarius sign, the presence of Mercury in the Aries Sign (from 3-5-2017 to 3-6-2017) will result in inauspicious developments in the areas of your personal and professional life, the relationship with your spouse, business partnerships. You will also get good news in matters related to your father. Mercury will move in Ashwini constellation between 3 May and 23 may. This may result in good developments in your personal and private lives, married life, profession, issues related to your father and so on. Mercury will then move to Bharani constellation between 23 May and 1 June. This will give you good results in various areas of your life including business and love. Mercury will move in Krutika planet between June 1 and June 3 which will help you in personal life and business. Are you finding it difficult to make a choice out of two exciting options? Or, are you worried about certain aspect of life? Buy the 2017 Ask Any Question report to get answers to any problem! The direct transit of Mercury in Aries will give benefits to the natives of Capricorn sign (from 3-5-2017 to 3-6-2017) in terms of good prospects in the job, easy availability of domestic helpers, good news from the maternal relative place, sound physical health and favourable matters vis-a-vis their enemies. As Mercury turns direct in the 4th House, you may get medium benefits in religious matters and the boost of fortunes. Between May 3 and May 23, there will be growth prospects in business as Mercury will be in Bharani constellation. There will be good and easy access of domestic helpers. Some good news from the maternal native place shall please you. You will enjoy good health. Mercury will move to Krutika constellation between 1 June and 3 June. This will make you enthusiastic and lively. Will your business witness rapid progress in 2017? Will you gain more success in your endeavours? Buy 2017 Business Report to know what planets indicate. The direct transit of Mercury in Aries will help the natives of Aquarius sign (from 3-5-2017 to 3-6-2017) by boosting their prospects in educational learning, child issues, lottery & speculation, financial matters, sports, etc. There will be medium results in issues related to inheritance of property and physical health. You should take care of your health when Mercury turns direct. Mercury will move in the Bharani constellation between 23 May and 1 June, this will make life easier. More sweetness will come about in your love relationship. You will be able to maintain focus in your studies. You will get the solution on issues related to child. Your financial situation will strengthen. Mercury will enter Krutika constellation between June 1 and June 3. This will bring more luck and progress in the profession. Get detailed advice on how to plan your further education from our expert in career domain. Buy Education Ask Question: Detailed Advice & Find answers for your doubts & obstacles. The direct transit of Mercury in Aries will boost the chances of Pisces natives (from 3-5-2017 to 3-6-2017). You are likely to get benefits in the context of your permanent properties, vehicles and in issues related to your mother when Mercury turns direct. You might face difficulties in your married life and see challenges in partnership. Mercury will enter Ashwini constellation between 3 May and 23 May. This will give you average results in the issues related to your mother, permanent properties, vehicle, private and personal life, married life, partnership. Mercury will enter Bharani constellation between 23 May and June 1, which is going to accomplish your tasks related to your permanent properties. There will be harmony in your personal life. Your relationship with your mother will improve. You will get closer to your spouse. The period between June 1 and June 3 will witness increased sweetness in your personal life and success on the professional front. This is what Ganesha feels about your prospects till June. But, are you curious to know how your future in 2017 will shape up? Buy the 2017 Detailed Yearly Report to get the detailed picture of your life. 4) Rahu in Cancer, Ketu In Capricorn Transit 2017: How Will The Conjurers Impact Your Life?